The Center for Arts, Digital Culture and Entrepreneurship (CADCE) produces original digital content that integrates interdisciplinary research in the social sciences, humanities, and digital arts with innovative business strategies. CADCE addresses racial, ethnic and gender concerns by creating digital models for pedagogy, learning, and curriculum development. These models take advantage of traditional and emergent media platforms – from blogs, video and social media – to ultimately develop collaborative, vertically integrated digital technology startups. CADCE is directed by Mark Anthony Neal, a professor of black popular culture at Duke University where he offers courses on black masculinity, popular culture, and digital humanities. His signature courses include Michael Jackson & the Black Performance Tradition, and The History of Hip-Hop, which he co-teaches with Grammy Award-Winning producer 9th Wonder. 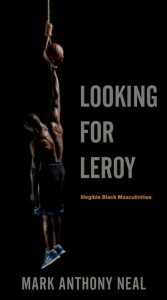 He is the author of several books including New Black Man, now in its 10th edition, and Looking for Leroy. 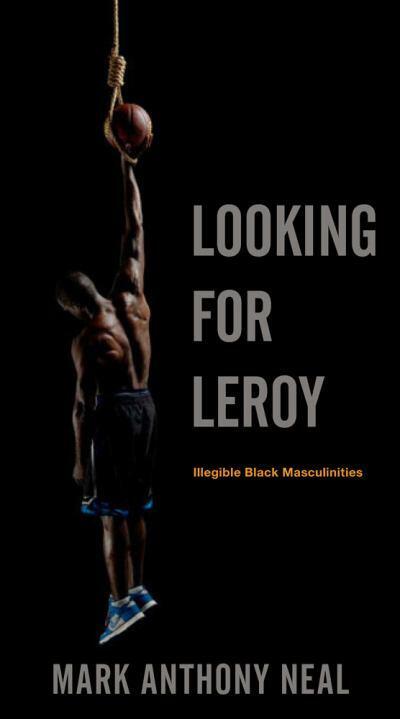 Neal curates a blog and also hosts the weekly webcast Left of Black, produced in collaboration with the John Hope Franklin Center at Duke. Neal regularly posts to his blog, newblackmaninexile.net. 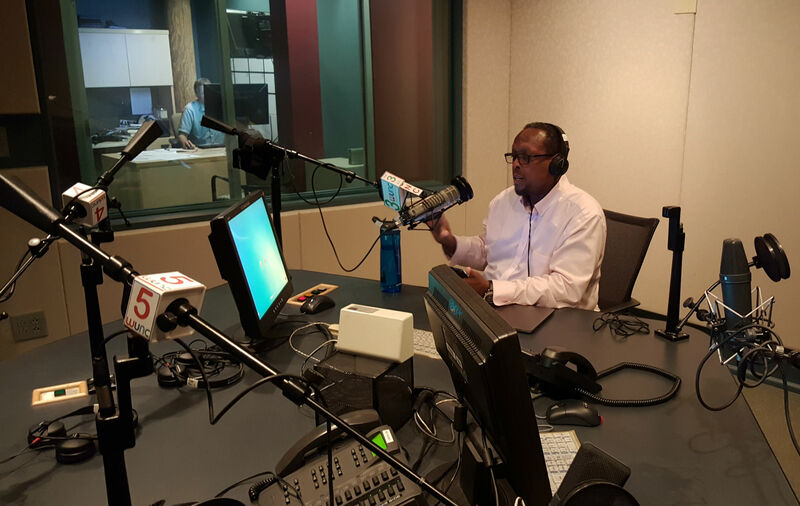 He is also active on social media — on Twitter as @newblackman where he has nearly 43,000 followers, on Google +, and on Facebook. What began as a localized activity designed to provide a safe haven for Black and Latino youth in New York City in the early 1970s, has become a global movement with a documented impact on cultural, political and economic realities throughout the globe. Co-taught by Grammy Award-winning producer and record label head 9th Wonder (Patrick Douthit) and Mark Anthony Neal, a noted scholar of Black Cultural Studies, the course will examine the organic social, cultural and economic foundations of Hip-Hop Culture, as well as the key aesthetic innovators/innovations, and the debates that have arisen over Hip-Hop’s increased visibility, influence and profitability. As with previous iterations of the course, the thematic center pivots on classic Hip-Hop recordings; This semester students will examine the impact of three recordings, Eric B. & Rakim’s Paid in Full (July 7, 1987); The Notorious B.I.G.’s Life After Death (March 25, 1997); Erykah Badu’s Baduizm(February 11, 1997). The three recordings exemplify, the foundational tensions of culture vs. commerce and spirituality vs. secularism which the course will explore more broadly. With readings that cover the history, politics, and aesthetics of hip-hop as well as its ethnic roots, influence and geography, students are expected to engage in rigorous classroom discussion. As with previous iterations of the course, the thematic center pivots on two classic hip­hop recordings. This semester students will examine the impact of two recordings, both celebrating 20th anniversaries — The Fugees’s The Score ( February 13, 1996) and Jay Z’s Reasonable Doubt (June 25, 1996). The two recordings exemplify, the foundational tension of culture vs. commerce, which the course will explore more broadly. What began as a localized activity designed to provide a safe haven for Black and Latino youth in New York City, has become a global movement with a documented impact on cultural, political and economic realities throughout the globe. Co-taught with Grammy Award-winning producer and record label head Patrick Douthit, aka 9th Wonder, this course examines the organic social and cultural foundations of hip­hop culture. Students also explore the key aesthetic innovators and innovations in the culture, as well as the debates that have arisen over hip­hop’s increased influence. In line with the current moment defined, in part, by #BlackLivesMatter, the course will revisit Public Enemy’s groundbreaking Fear of a Black Planet, released 25 years ago this spring. The recording remains one of the most sophisticated commentaries on race in America produced in U.S. popular culture during the late 20th and early 21st Centuries. For this particular iteration of the course, students examined Michael Jackson’s relationship to the archive. For their final group project, the students were assigned a particular track from Jackson’s catalogue, and charged to curate uploadable digital content that addresses many of the course’s most prominent themes: race, gender (performance), class, cultural appropriation, and the function and value of the archive. One of the projects reimagines Michael Jackson and Janet Jackson’s “Scream” for the #BlackLivesMatter moment, foregrounding it in a significant moment in Duke’s own history of racial politics. This is what digital humanities looks like. Mark Anthony Neal interviews artists, authors and scholars for the weekly webcast, now in its 8th season. In spring 2017, Neal delivered the inaugural Trinity Distinguished Lecture in Penn Pavilion at Duke University. For more videos, visit the CADCE YouTube channel. For featured audio, visit https://w.soundcloud.com/player/?url=https%3A//api.soundcloud.com/tracks/271454483&auto_play=false&hide_related=false&show_comments=true&show_user=true&show_reposts=false&visual=true“>Soul Expressions 2.0 on SoundCloud.